(Newser) – China's ambassador to Canada accused the country Wednesday of "white supremacy" in calling for the release of two Canadians detained in China last month, while describing the detentions as an "act of self-defense," the AP reports. The arrests were in apparent retaliation for the arrest of a top Chinese tech executive in Canada. But Ambassador Lu Shaye charges in an op-ed in the Ottawa-based Hill Times that Western countries are employing a "double standard" in demanding the immediate release of the Canadians. "The reason why some people are used to arrogantly adopting double standards is due to Western egotism and white supremacy," Lu writes. "What they have been doing is not showing respect for the rule of law, but mocking and trampling the rule of law." China detained Canadian ex-diplomat Michael Kovrig and entrepreneur Michael Spavor on Dec. 10 on vague allegations of "engaging in activities that endanger the national security" of China. 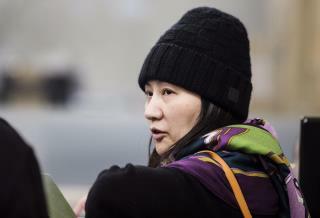 In the op-ed, Lu seemed to admit detaining the Canadians was in retaliation for the arrest of Huawei executive Meng Wanzhou, something China has previously denied. Roland Paris, a former foreign policy adviser to Canadian Prime Minister Justin Trudeau, called Lu's claims "hogwash." "I don't know what the ambassador was trying to accomplish but his article won't help China's cause. The reference to white supremacy was bizarre and unfortunate," Paris said. In quite a vague claim, we yet know nothing about the reason for the charges that could hint at what these alluded Canucks were doing. Grasping at straws...ummmmm, yeah. Talking points...et tu China?